For Sebastian Castellanos, the nightmare is far from over. 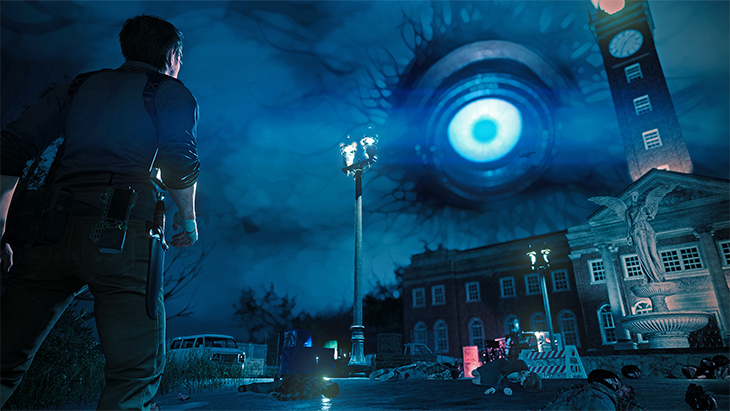 From Tango Gameworks and horror mastermind Shinji Mikami comes The Evil Within 2, the sequel to the widely-praised 2014 survival horror game. In order to save Lily – the daughter he believed he lost years ago – Sebastian will have to step into the madness once again. 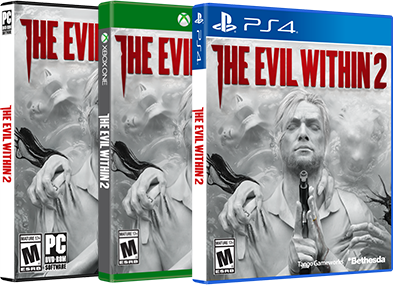 Announced during the Bethesda E3 2017 Showcase, The Evil Within 2 will launch worldwide on PlayStation 4, Xbox One and PC on Friday the 13th in October 2017. Set in Union, a crumbling city built using Lily’s mind as the Core, The Evil Within 2 presents a mix of closed off, claustrophobic environments that are reminiscent of the first game, and new, less linear areas that will give you the opportunity to explore at your own pace. You’ll be able to wander freely and poke through all the dark corners of the world at your leisure, but this is still a survival horror game, and ammo and resources will be scarce. You’ll need to prepare carefully and move cautiously as you discover the secrets of Union and unravel Mobius’ plans from within STEM. 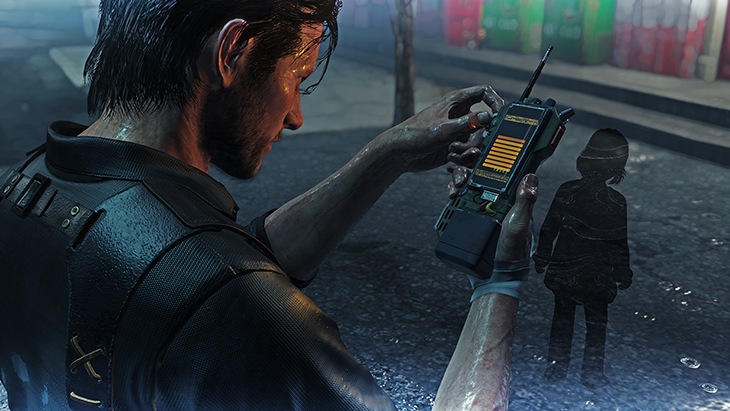 Using Sebastian’s new communicator device, you will have intermittent access to the real world, with Sebastian’s former protégé Juli Kidman feeding you information from the other end. The communicator device also acts as your guide to Union, offering up unique resonance points in the world that will lead you to resources, side quests, information about the state of the city, and even Lily as you use the communicator to follow in your daughter’s footsteps through STEM. You’ll have to dust off your detective skills and put them to work as you journey through the warped wreckage of Union and face off against untold evils in your attempt to rescue Lily before it’s too late. Years ago, before the events of The Evil Within, Sebastian’s daughter Lily died in a tragic house fire. His wife left him shortly after and his life continued to deteriorate when he was pulled into the web of a sinister corporation called Mobius. It has now been three years since his investigation into a series of grisly murders brought him to Beacon Mental Hospital, where Sebastian Castellanos found himself trapped in a deranged nightmare world created inside the mind of a killer. After barely surviving the events of the first game, Sebastian was alone. He lost his job, his will, everything. No one believed his story about Beacon, and he has spent the last three years searching for the people responsible for what happened to him at Beacon Mental Hospital, turning up no leads. But now, for the first time in years, Sebastian has a glimmer of hope. Kidman reenters his life and offers him a chance at redemption: Lily is still alive and is being used by Mobius to create a new STEM world, and if Sebastian is willing to submit himself to hell, there’s a chance he can find her and free her. Sebastian will have to journey into STEM once more and face off against untold evil in order to save his daughter.